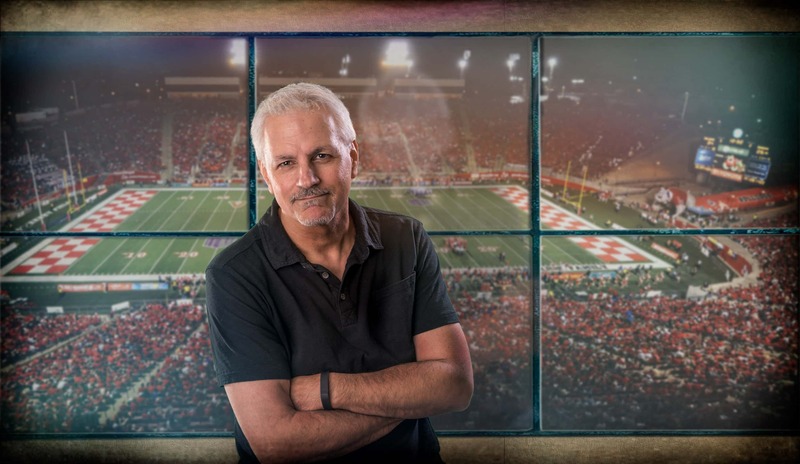 Christopher Gabriel is a sports talk host whose work is highlighted by big opinions, insightful commentary, outstanding guests and a splash of satire. Olympic medalists, professional and college coaches and athletes, major media figures, Pulitzer Prize winning authors, Oscar, Grammy, Emmy and Tony winners, U.N. Ambassadors and more have all been a part, and continue to be mainstays, of the CGP. He might also veer off course to discuss weekend movie openings, some music and food, stories slightly off the radar, the occasional Premier League match or the World Bog Snorkeling Championships. CG hosts Game Day Live for Fresno State Football at Bulldog Stadium, a smaller version of ESPN’s College GameDay. It’s a fast-paced, two-hour pregame show featuring an array of guests and special features in front of 2000 people. The CGP has broadcast live from numerous major sporting events including FCS championship games, the NCAA’s Frozen Four and most recently the Clemson-Alabama national championship game in Santa Clara, CA. Whether in the studio or at the stadium, CG’s work engages and entertains audiences through discourse, not discord.